As LED streetlights proliferate, they come with the promise of more efficient smart city service. But they also raise new opportunities for surveillance. Blinking down at passersby in traffic intersections and lining dark alleys, sleek, energy-efficient LED streetlights have begun to replace old-fashioned, glitchy ones. It’s part of a wave of smart city initiatives sweeping the country: Already, LEDs are strung above parts of places like Baltimore, San Diego, Kansas City and Bethlehem. Now, Portland, Maine, is in a race with Schenectady and several other cities to become the first to convert their entire light grid. But as more communities adopt government-funded, eco-friendly LED lights as an environmental measure, some worry that the eyes on these bulbs may be a bit too literal. As they illuminate the streets, they could be watching—and recording—what happens below with attached cameras, microphones, and other devices. The biggest appeal of LEDs is their efficiency and cost-saving potential: They aren’t designed specifically to surveil. But the bulbs’ complex wiring and strategic positioning make recording devices an easy addition. When LEDs started brightening the halls of Newark Liberty International Airport in 2014, and malls across the countrysoon after, the American Civil Liberties Union (ACLU) and community members were unsettled to discover that hidden inside some of them were cameras. Others, microphones. In Portland, 6,100 LED streetlights will spray across the city over the next two years, reducing light pollution and potentially saving the city $1 million in annual maintenance fees the local utility once charged to fix up old light fixtures. Touting Portland’s plans, city manager Jon Jennings calls the city “very progressive” on climate change. Jennings says the city provided opportunities for community input before the LED conversion plan commenced, and that the city is not at all interested in outfitting the smart lights with cameras right now. But in Portland, as in many cities across the U.S., there are no laws in place ensuring that residents have to be alerted if (or when) they do add cameras or other surveilling equipment. The city council would have to approve the line item in the budget to fund them, but their installation will never put up to a vote. The ACLU has launched a national campaign called Community Control Over Police Surveillance (CCOPS), encouraging cities to build public oversight into decisions about smart city technologies with surveillance components. Laws have been passed in Seattle, Nashville, Somerville, and Santa Clara County, according to the ACLU’s website, and are under consideration in other cities like New York, St. Louis, and Oakland. Bills were introduced in Maine’s last two legislative sessions that would have applied the CCOPS model to every state agency, but they were denied both times. No municipal-level laws have been passed in the rest of the state. Other cities have been less oblique about their intentions. In the upstate New York community of Schenectady, mayor Gary McCarthy is still in the process of lobbying the city council to free up funds to convert all 5,000 streetlights to LEDs. First, LEDs will be implanted with optical sensors that could pick up infrared signals, get traffic counts in intersections, and take pictures of the street surfaces to more effectively plan pavement maintenance. Portland’s Jennings argues that smart city technologies will vastly improve urban quality of life, if only worriers stopped worrying, and intervening. The lights’ intricate digital coding means they will soon fit into Portland’s larger smart city plan—to equip the growing downtown and beyond with responsive traffic signals, universally available wireless internet, high speed fiber, and mapping infrastructure for autonomous vehicles. Traffic flow data can be crucial for increasing Department of Transportation efficiency, for example. But, the ACLU notes, indiscriminate AV streams also capture conversations, habits, and interactions. Two friends sitting in a park, discussing their plans to attend a Black Lives Matter rally later that day. A woman leaving a mosque, joking with her husband. In the wrong hands, those private moments can be used for future persecution. And eventually, with city approval, police might want to look at footage to track crimes like speeding or illegally parked cars; to stop street violence; and to identify suspects. That might start happening soon. By May, San Diego, California, will convert 14,000 of its 40,000 streetlights to LEDs, and expand its network test of 50 smart lights to 3,200. San Diego’s deputy chief operating officer told IEEE Spectrum that the city’s new sensor-enabled lights could eventually be hooked up to the city’s ShotSpotter network, helping to identify the source of gunfire and “automatically alert police to dangerous situations” by picking up audio from the ground. The sounds of violence are defined as breaking glass and shots fired, but it’s not hard to imagine that raised voices could be linked to real people, and draw similar scrutiny. The operation of these automated data collectors can’t be divorced from the human decision-making patterns that govern all police actions, though: There are choices driving where to start deploying cameras; whether to equip them with audio or video collection, or both; which to maintain—and, most significantly, which to check. Civil liberties advocates fear that the personal biases that seep—insidiously or innocently—into police enforcement will grow more heads, and be allowed to flourish in new venues that never used to exist. These use cases may sound far-fetched in a place like Portland, which is largely liberal and relatively small. But already in Oakland, a sanctuary city, the seemingly routine data collection of license plate identification information ended up aiding ICE in their hunt for undocumented immigrants. The data passed from the city’s transportation department into a Fusion center, and from there into ICE’s hands. “[Portland] should not call itself a safe city. Safe from whom?” said Marlow. “I would say that installing these light bulbs makes your city a less safe city, especially if you happen to be poor or a person of color.”Civil liberties advocates fear that the personal biases that seep, insidiously or innocently, into police enforcement will grow more heads, and be allowed to flourish in new venues that never used to exist. Outfitting a city with unregulated, government-controlled “dragnet surveillance,” as Marlow calls it, opens up more privacy issues than some of the cameras that already watch shopping malls and gas stations: Police need to obtain a warrant or permission to get ahold of the privately owned tapes, but not necessarily the city-owned ones. Any such project “should at a minimum [be] subject to public hearings and strict regulations from outside auditors,” said Marlow. Before CCOPS legislation is passed in more places, and absent a U.S. privacy commissioner, it is up to city planners, managers, and mayors to formulate responsive public policy surrounding what kinds of data will be collected, how long information will be retained, and who can gain access to the information once it exists. Schenectady Mayor McCarthy wants to allow businesses that might want to locate in the area to access information on traffic patterns and daily counts, to set up a public webcam showing pedestrian traffic through a bustling farmer’s market as a marketing tool, and to allow local news stations and papers to view past recordings through public records requests. 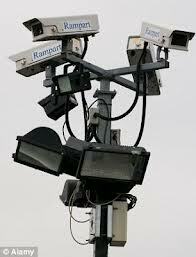 But he says he will work to develop clear policies surrounding retention and access before cameras are installed. Portland’s LED conversion plan is too far gone for the ACLU to legally intervene. 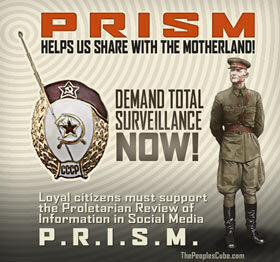 They can only step in to defend people if data is used to violate their civil liberties. Marlow says the ACLU is not suspicious of the city leaders’ intentions, but believes that the cost-benefit analysis they’re making is misguided. “There are certainly other methods for dealing with urban issues like traffic and trash collection that do not pose a significant of a threat to civil rights and civil liberties,” he said. It’s part of a broader consciousness shift city-dwellers are starting to have to grapple with. “We’ve built up most of our privacy laws around reasonable expectation of privacy: That if you do it in public you have no reasonable expectation of privacy,” said Cate. Of course, we often don’t act like we believe that to be true: We have personal conversations in parks; on the street; and in cars, windows down. “This bright line rule—if it’s in public we can do anything—it both doesn’t make sense, and we’re starting to see it crumble,” said Cate.